This is an O100 training certification training course for FWOC members. After completing this course you will be able to plan one of our weekly events. 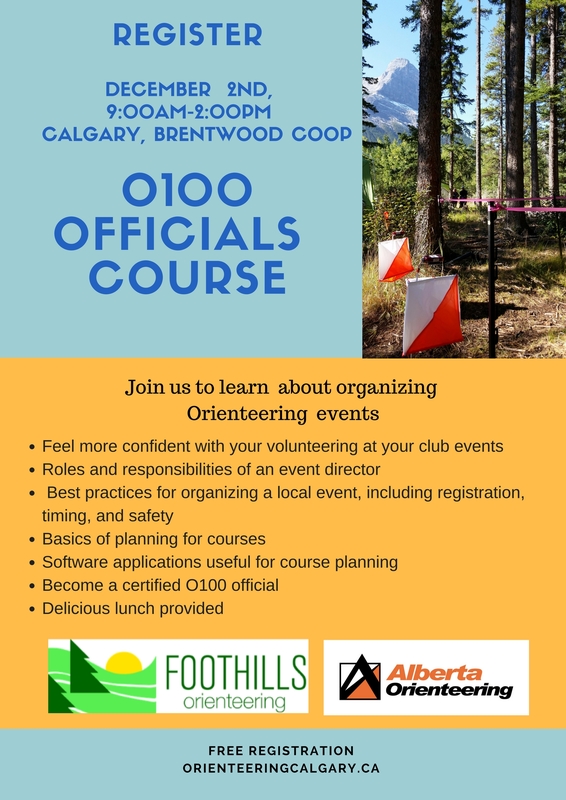 The course will be taught by Marion Owen at Brentwood Calgary Co-op. Lunch will be included for all participants. Please reach out to Bob MacDonald or Bogi should you have any quesions .